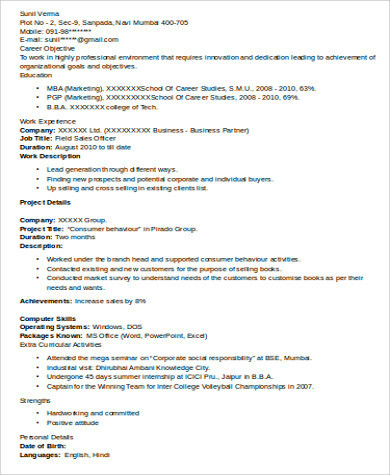 An MBA marketing resume is used by an MBA graduate whose main expertise is in the field of marketing. 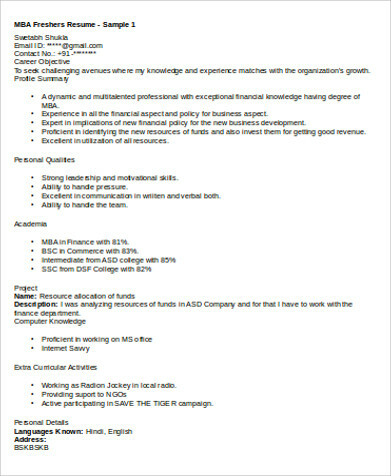 The profile of the individual using this resume is related to business and marketing processes that allows him or her to select job opportunities in a variety of fields. The experiences of an MBA graduate may include conducting business and marketing researches and curating a variety of business and marketing plans. 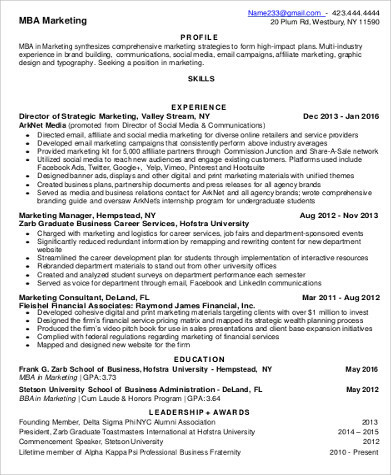 If you are an MBA graduate and you would like to try applying for job positions that are related to business administration and marketing, then you may download our samples of MBA marketing resumes and Sample Resumes so you can have guides and references in creating your professional profile. 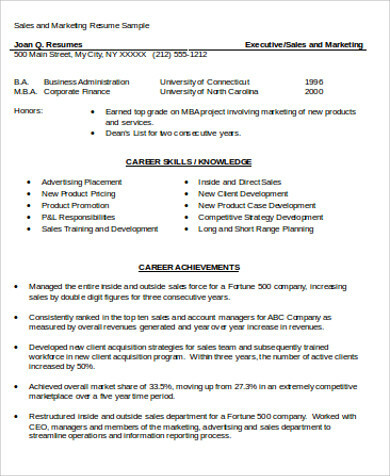 Aside from our MBA marketing resume samples and templates, our downloadable Marketing Resume Samples are also available for browsing. 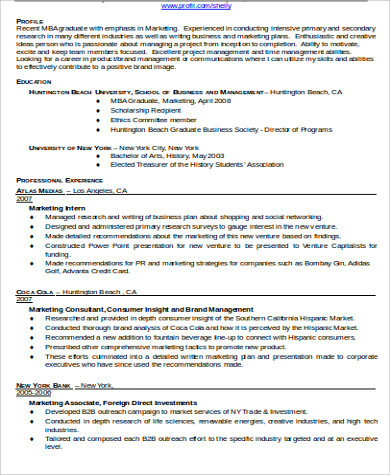 your MBA grade point average and specific achievements and citations. 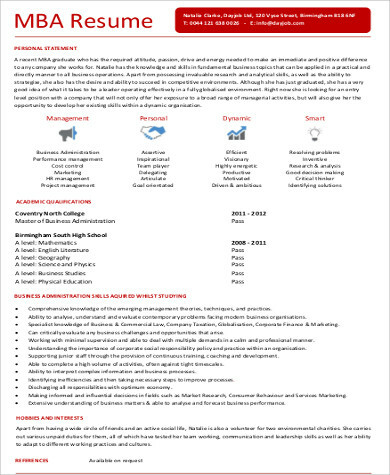 your skills in project management and creation of concepts that will excite the consumers and prospective market of the business. 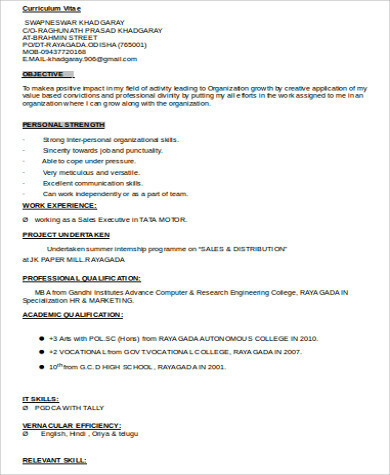 Other than our MBA marketing resumes, you may also be interested to download and browse through our templates of Sample MBA Resumes for additional guides in creating a professional profile applicable for MBA graduates.